When my husband and I decided to have children it was usually a last second decision, an ‘okay I’m ready’ type of thing and we would just go for it. It never took us long to conceive, and in the case of our youngest the day we decided was the day I got pregnant (pretty astounding actually!). Many people are not quite as fortunate as us, and preparing to conceive takes a little more effort and a little more preparation. One thing I wasn’t aware of, was that men could do just as much to prepare for a healthy conception as women could. They are, after all, 1/2 the DNA that goes into creating a wonderful new baby! Your odds of getting pregnant are 15% – 25% on any given month (according to WebMD), however, after a woman reaches age 30, odds severely diminish and continue to decrease as you age. But what about the guys? Sperm health and sperm quality begins to decline around the age of 25. Smoking, drinking, drugs, stress, poor nutrition, and lack of exercise can all contribute to poor sperm quality. It generally takes sperm an average of 74 days to mature and up to an additional 20 days to become capable of fertilization. Male factor is responsible in up to 50% of couples who are experiencing infertility. If you are trying to conceive, what steps should you take to prepare for conception? The first thing is the most obvious. Frequent love-making will only increase your odds of conception, even if you have been calculating when you will ovulate it is better to stack-the-deck (so to speak). Three to four times a week should be sufficient. Consider your lifestyle factors. If you see a doctor for a preconception appointment, they will most likely ask you about you and your partner’s habits that could influence your pregnancy, such as smoking, drinking, and using drugs. Ending any habits that could stand in the way of a healthy conception and pregnancy is ideal. Eat a balanced diet by reducing empty calories, artificial sweeteners, and caffeine. Eat foods that are high in protein, and choose organic fruits, vegetables, grains, and dairy products to ensure you aren’t ingesting pesticides along with your healthier choices. Get moving. Getting plenty of exercise is beneficial for both the man and woman in the relationship by lowering inflammation as well as managing weight and stress. Both you and your partner should begin taking vitamins. For women, folic acid should be taken as it is known to reduce the risk of birth defects. Be sure to follow your doctor’s instructions on dosage, as large doses of some vitamins can cause birth defects as well. For men, taking a prenatal male fertility supplement like Proxeed Plus can help support reproductive/sperm health prior to trying to conceive. Why take a male fertility supplement? Proxeed Plus is a simple way to support male reproductive health and sperm quality by providing the nutrients needed for developing sperm. Proxeed Plus is a patented prenatal male fertility supplement with documented quantities of L-carnitine and Acetyl-L-carnitine; the Proxeed Plus formulation contains about three to four times more carnitine than other men’s health supplements. 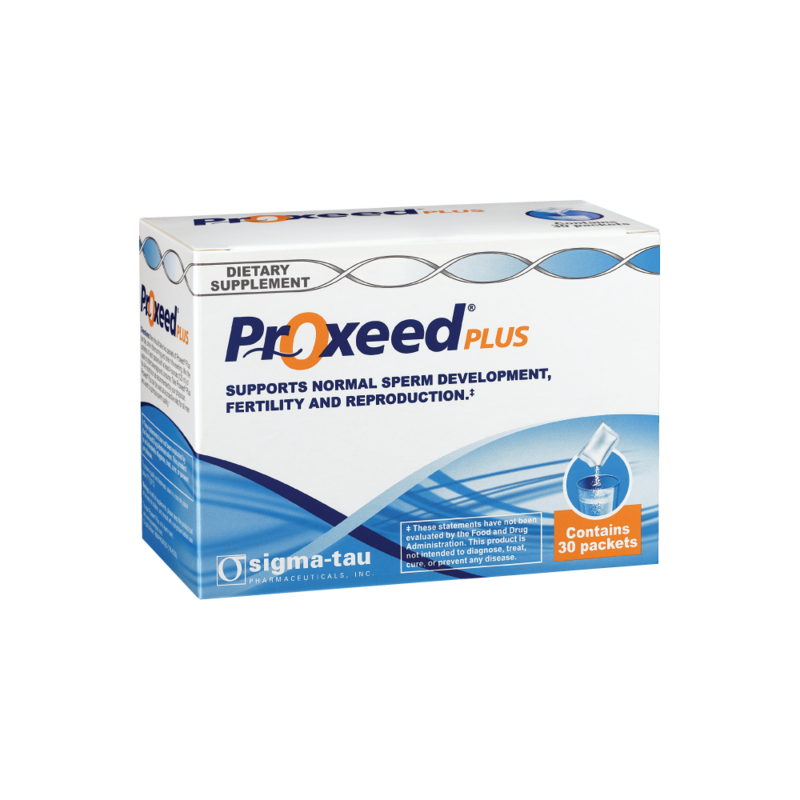 Supporting sperm health is easy with Proxeed Plus prenatal male fertility supplement; taken twice-a-day, it comes in packets of powder that dissolve easily into water, juice, fruit smoothies/shakes or other cold beverages and has a pleasant fruit flavor. So you want to make a baby? Learn about Proxeed plus in a set of helpful videos by Dr. Michael Heard, as well as a few conception myths too! You can purchase Proxeed plus on their website. When you are ready to take that next step be sure you are both prepared, and if you are feeling extra cheeky – check out this cute I Love You bean that you can grow to symbolize your own growing bean! PreviousThe Math Club for all – Crazy 8s! NextGreen Scene Mom’s Holiday Gift Guide Giveaway!